Aperol Spritz is #1 consumed cocktail in Italy. 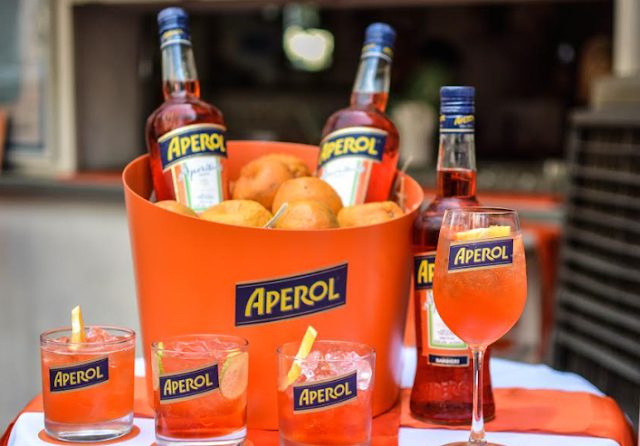 It is made by mixing two parts Aperol with three parts prosecco and one part soda in a wine glass filled with ice and garnished with a slice of orange; light, sparkling and refreshing, Aperol Spritz is the ideal drink for every social occasion. It can be enjoyed before lunch or dinner as a true Italian apéritif, as a lighter option at an after-work get-together with colleagues and friends or as an accompaniment with food. Aperol Spritz has fast become a cult drink outside of Italy, extending to neighbouring European countries and even cross continent.